Page updated Jan 15, 2019. First published Jul 24, 2017. Let’s start with some simple maths: if you want to lose just one pound, that’s 3,500 calories you’ve got to cut out from your diet. And in this era of seriously surplus calories in pretty much everything we eat, you could drop a pound a month just by losing 100 calories a day, and you wouldn’t notice a thing. Most people want to lose weight faster than that though, and if you’re one of those people you’re in luck: here are ten weight-loss accelerators to help you safely reach your ideal weight as fast as possible. They don’t include anything bad for you like skipping meals, living on nothing but juice, cutting fats completely and gimmick diets, and they certainly don’t include anything really harmful, like overdosing on laxatives, or anything downright dangerous, like surgery. And there’s nothing here about dropping too many calories a day, because that would just put your body into starvation mode. That’s where your physical and mental energy start going downhill fast, and rather than burning off fat cells your body would start nourishing itself with your muscle tissue. So with all that in mind, let’s begin. You may have believed certain TV “authorities” before, when they claimed you could lose weight by taking a certain supplement and still stay sprawled practically motionless on your couch. But if you’d kept your eye on the news you might just have seen stories about those “authorities” receiving a slap on the wrist (or a nine-million-dollar lawsuit) for promoting a miracle supplement that wasn’t as miraculous as they’d made it out to be. So you need to keep those muscle cells and grow some more, because they’re the ones that burn up more calories than fat cells. Cardio burns the most calories while you’re doing it, while weight training develops the most muscle mass, helping to increase the amount your body burns daily. One study says successful weight loss needs a sensible diet and about an hour of moderate exercise each day. That might not be possible, time-wise, or it may just be too much of a shock to a previously sedentary system. So to start with, parking further away from the office and taking the stairs instead of the elevator is a nice gentle way of getting used to physical activity, before joining your local gym. Before we get on to the food and drink side of things, let’s take a look at something too many people don’t realize has an important role to play in speedy but safe weight loss. Some people don’t manage to get six to eight hours of sleep each and every night. But they might go to bed a little earlier when they realize that lack of sleep has been linked to diabetes and obesity. And it’s not just because of those late-night refrigerator raids: there’s a chemical in the body called leptin, and when leptin levels are high, appetite levels are low. And when leptin levels are low, that’s when those hunger pangs can kick in. So leptin affects food choices in general, and also snack sizes, as in the bigger the better. And guess what lowers leptin levels? You got it: lack of sleep. Lots of sleep can keep that appetite curbed. Now let’s look at what happens right after eight hours in dreamland. Skipping breakfast isn’t a great idea. Yes, there’s all sorts of other stuff that needs to get done in the morning, but surely you can find a way to take ten minutes to set yourself up for the day. It’s not like you’ve got to prepare a weekend-style brunch for yourself on a Monday morning, but if nothing more, a bowl of cereal or oatmeal will give your body enough fuel to see you through to lunchtime. If you’re more into protein than carbs, you might agree with the school of thought which tells us we should have “ten before ten”. That’s ten grams of protein before ten every morning. Ten grams of protein are conveniently packed into just two eggs, any style you like, and no matter how you cook them it’ll take a lot less than ten minutes. Now let’s move on to something that might take a lot longer than ten minutes to prepare, but well worth the wait. Obviously you’ll need to cut down on processed food because of all its empty calories, but another reason is that it takes your body a certain number of calories just to digest whatever you’ve eaten. That should be 10% of what you’ve consumed. When it comes to processed food, things are a little different. When you’ve eaten processed food, your body uses up 5% of the calories you’ve just consumed. So that means not only are you getting empty calories (for example, added sugar), you’re leaving existing calories unused and leaving them to pile up around the waistline. And so many processed foods contain much more sugar than your body really needs at any time. The manufacturers disguise the fact on labels by using fancy terminology like corn sugar, dextrose, fructose, glucose, high-fructose, glucose syrup, honey, invert sugar, isoglucose, levulose, maltose, molasses, sucrose, and probably more we haven’t come across yet. The American Heart Association recommends men consume less than 36 grams (that’s just over a single ounce) of sugar a day, while women should have 24 grams, which is just under an ounce. That’s 9 teaspoons of sugar each day for men, and 6 for women. Even when you think you’re doing nothing, your body’s still using up calories. And the faster your metabolism, the more calories you’re going to use up while you think you’re doing nothing. And how to speed up your metabolism? Foods containing Omega-3 fatty acids: they balance blood sugar, reduce inflammation and help to regulate the body’s metabolism. Strength training: it’s said that the average woman in her thirties who does 30-40 minutes strength training twice a week for four months will speed up her metabolism enough to burn off an extra 100 calories a day – whether she’s training on that day or not. 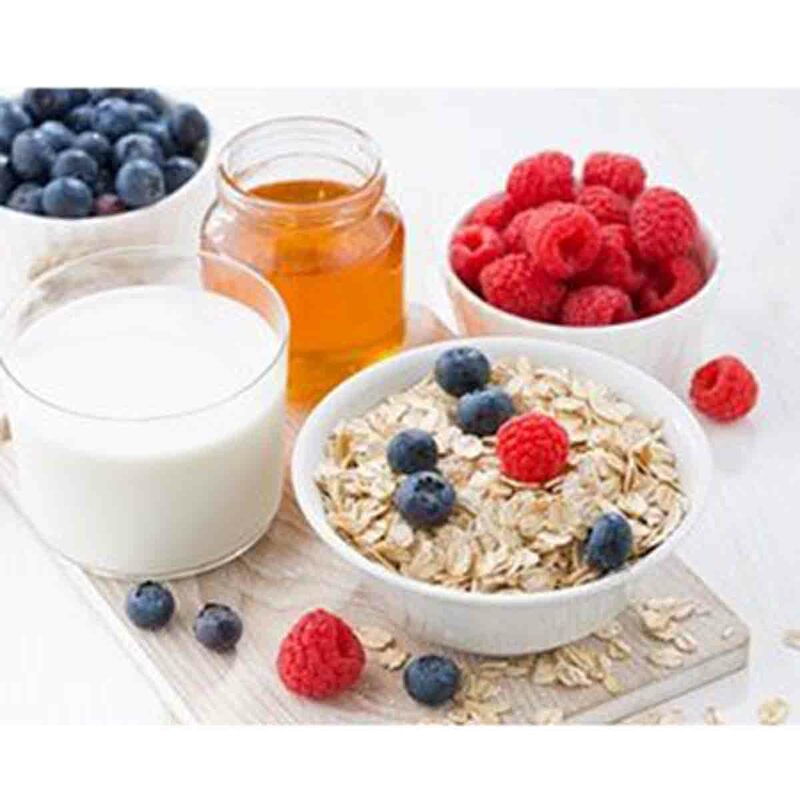 Small meals – and often: instead of sending your blood sugar levels skyrocketing with three big meals a day, six smaller meals a day prevent the kind of spikes in insulin levels that have a lot to do with promoting weight gain. Safe produce: pesticide-laden fruits, vegetables and grains interfere with your thyroid, and can slow down your metabolism. If you can’t go organic, at least give non-organic foods a good wash before cooking or eating them. Smaller portions! Need we say more? Once you’ve got that smaller portion in front of you, eat it slowly for a couple of reasons: first, it takes about 20 minutes for your stomach to register that it’s full. So if you eat fast throughout those twenty minutes, you’ve overfilled your stomach, which can lead to all sorts of problems more than just some extra weight. The second reason is that the slower you eat, the more you tend to chew, and that’s a good thing: chewing releases enzymes into your saliva. That’s a sort of pre-digestion process before your stomach gets to work. A glass of water just before mealtimes stretches the stomach, fooling your system into thinking you won’t need so much food when it’s time to sit down to eat. We all need protein, but if we get too much of it at once it’s going to raise our insulin levels, which eventually ends up as excess fat around our waist. So it’s best to spread protein intake throughout the day, as in half of it during your main three daily meals, and the other half in three small seriously-protein snacks in between. We’re not saying snacking is wrong, but you do need to make a change or two when you start off on your weight-loss journey. If you’ve got a whole heap of temptation in the form of sugary, processed and fatty snacks in your kitchen, best to find them a new home. Someone will love them, that’s for sure. Just make sure that someone isn’t you. Now it’s time to replace those pre-packaged snacks with well-washed fruits and vegetables in a bowl on the counter, ready to be picked up and nibbled on whenever the urge strikes. Instant foods like raw vegetables and fruits contain plenty of fiber and water which keep hunger pangs at bay while keeping your body hydrated. If you’re following a diet that cuts down on salt and starches, you’re going to reduce fluids and fluid retention, meaning a dramatic loss of weight right at the beginning of your diet. But that would only be losing water, not fat cells. And because your body’s made up of so much water, if you lose too much of it you run the risk of dehydration, which can affect you physically, mentally and emotionally. It can even, if severe enough, cause your internal organs to start shutting down and even be fatal. So keep drinking – but leave those sports and energy drinks alone: they can be crammed full of more sugar than soft drinks, and contain more caffeine than your average cup of coffee. That might work for athletes who’ll take a single workout to burn off all that sugar and caffeine and anything else written into the small print on the can, but not for everybody else. If you’re bored with plain water, there’s always a bit of flavoring in green tea (no milk and sugar, though), plus antioxidants, nutrients and metabolism boosters. 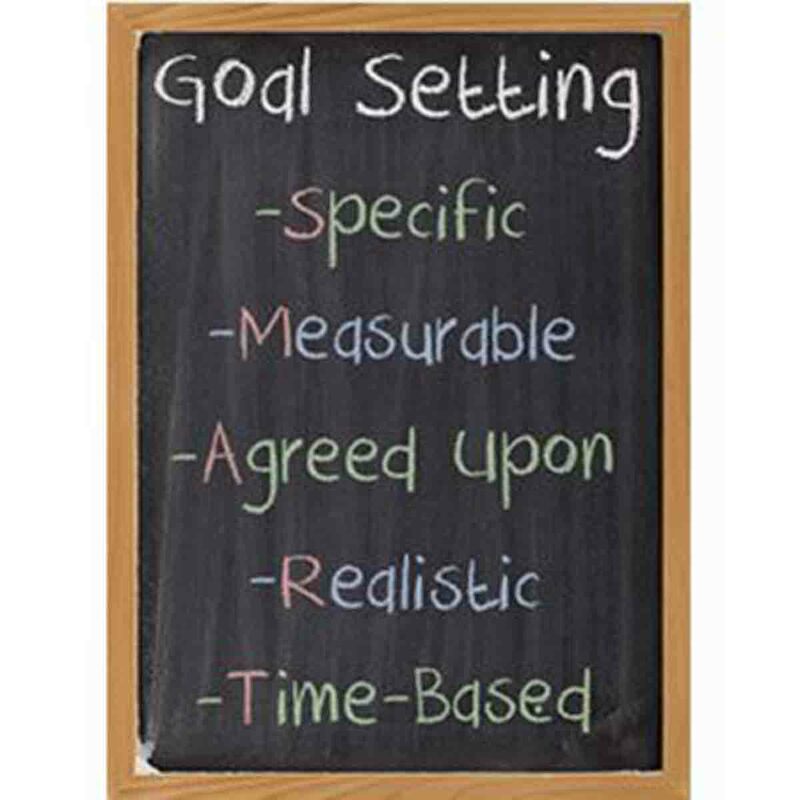 SMART is an acronym describing business goals. You can apply it to losing weight, since in this case it would stand for: Specific, Measurable, Agreed Upon, Realistic and Time-Based. And thanks to fitness trackers and regular checking of the bathroom scales, your weightloss journey is definitely “Measurable”. But let’s look at “Agreed Upon”. Who’s doing the agreeing here? You and friends? Family? Social network? Fellow dieters? Anybody? If you can hold yourself accountable to someone for specific, measurable, realistic and time-based weight-loss results, then you’ve got a much better chance of dieting success than if you keep them a deep, dark secret from everybody. It may feel wrong to enjoy a calorie-laden meal once every now and then but there are a couple of good reasons, especially if that meal involves revisiting your favourite fast-food joint. Good reason number one is that any cravings you may have for that particular kind of meal get dealt with without a bad case of dieter’s guilt. And good reason number two is that after not having eaten like that for a while, you’ll definitely notice the difference in the way you feel after your scheduled cheat meal. It’s said that the key to weight-loss is never to feel like you’re dieting. If you feel like you’re going out of your way to deprive yourself of the foods you’ve enjoyed up to now, then if not slowing your weight-loss process right down you’re definitely reducing your chances of success. But if you do find yourself slipping back into bad eating habits, don’t give in to the temptation to beat yourself up: remember, you’re not the only one who’s strayed from the straight and narrow path. It may feel like the end of the world, but it’s only a hiccup and it’s your choice when to get back onto that path again. And the sooner you do, the faster you’ll reach your ideal weight.